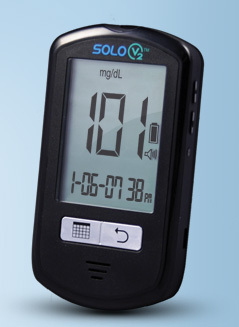 The Solo V2 was designed to address specific issues that persons with diabetes are experiencing, but have been overlooked by meter manufacturers. Issues such as false results due to errors in coding the meter, persons with visual impairment having to enlist the help of a sighted person to get their test results, just to name a couple. These are real issues that have serious implications for millions of people on a daily basis.